The 1950s were a vital time in the history of science. In accordance with the intensification of the Cold War, many scientific talents were mobilized to several military-related research and development projects not only in the United States, but also in the Soviet Union. Contrary to the expectation of General Leslie Groves, a leader of the Manhattan Project, the Soviet Union succeeded in their nuclear weapon development in a very short time. And then, by the end of the decade, mankind reached the dawn of the Atomic Age proper with the beginning of the operation of the world’s first civil nuclear power plant in Obninsk in 1954. The risky and costly developments of new weapons such as rockets, jet warplanes, and computers were achieved by the Soviet Union in a very short time after World War Ⅱ in spite of the heavy economic damage caused by the battles with German troops in Soviet territory. Why were such a great number of scientific talents mobilized to various Soviet Cold War research and development projects? What were the true natures, and real consequences of the rushed Cold War projects? How did Soviet scientists approach the nuclear age? Thanks to the study of formerly classified Soviet archives, a more nuanced view of Soviet society has become possible. 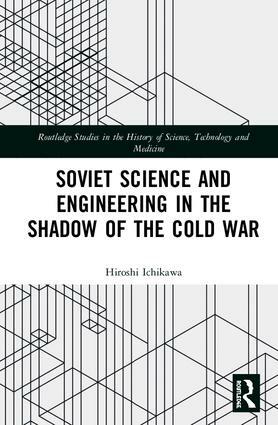 To resolve the above-mentioned questions, Ichikawa analyses the complicated interactions among various factors, including the indigenous contradictions in the historical development of science in the Soviet Union; conflicts among the related interest groups; relationships with the political leadership and the military, the role of ideology and others. What drove the scientists to the Cold War?